Rhinebeck Crew qualified for the 2014 SRAA Nationals Regatta in Princeton, New Jersey with a strong performance at the New York State Championships in Saratoga. 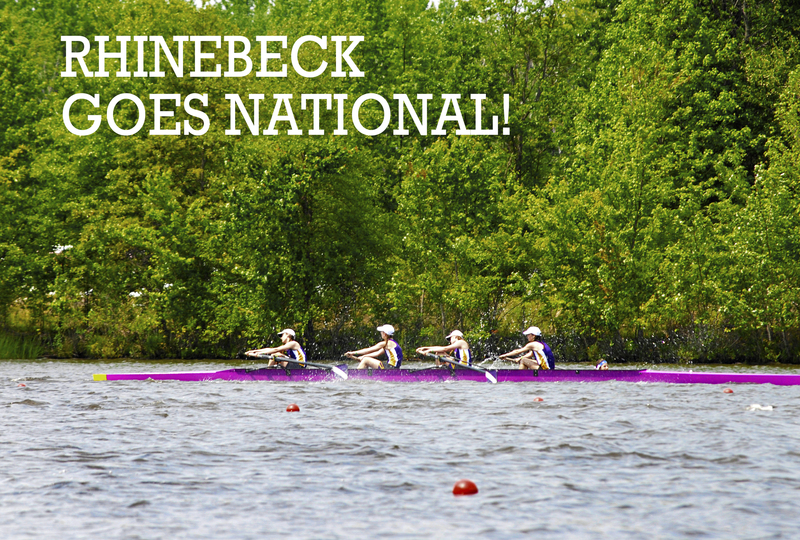 Congratulations to the entire Rhinebeck Crew Team, coaching staff and the Lightweight 4 Girls boat, which competed in Princeton: Maggie Hanson, Madison Lortie, Casey Heady, Isabel Murray, Shoshi Goldman. Rhinebeck placed 4th in their qualifying heat and missed advancing by one boat, despite a close race and strong performance! Thanks also to team members Jamie Waltzer and Sarah Prosser as well as team co-captain, Taylor Russell, who accompanied the team to Princeton.